I look down on my path. 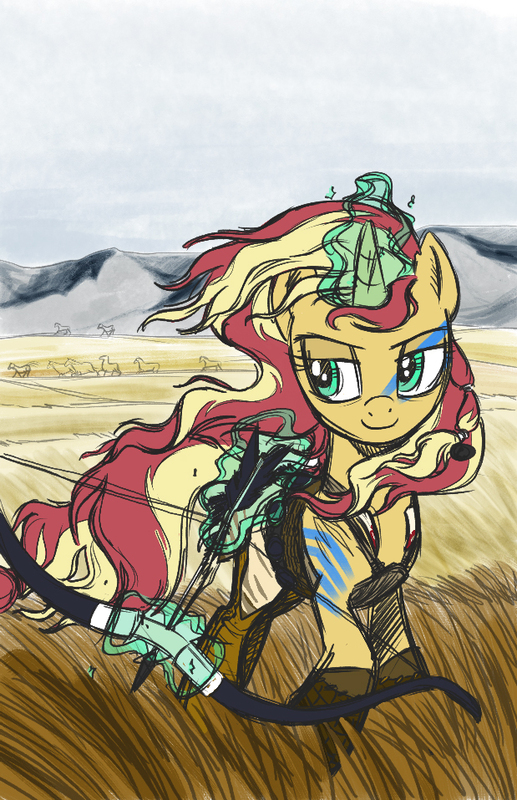 And my sight is still clear. To gum and cut in sharp old age. Battles are fought at the breaking crest. But more can be seen perched on edges. The wild slopes were so wide, and my path was so narrow. But what I carry right now. And I cannot see where it goes from here. And think on where I've been. 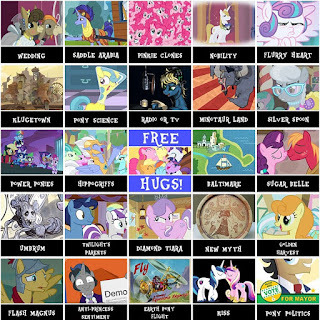 So, Oliver's put together a Season 9 Bingo card for the last season of My Little Pony: Friendship is Magic. This is my card for the season. 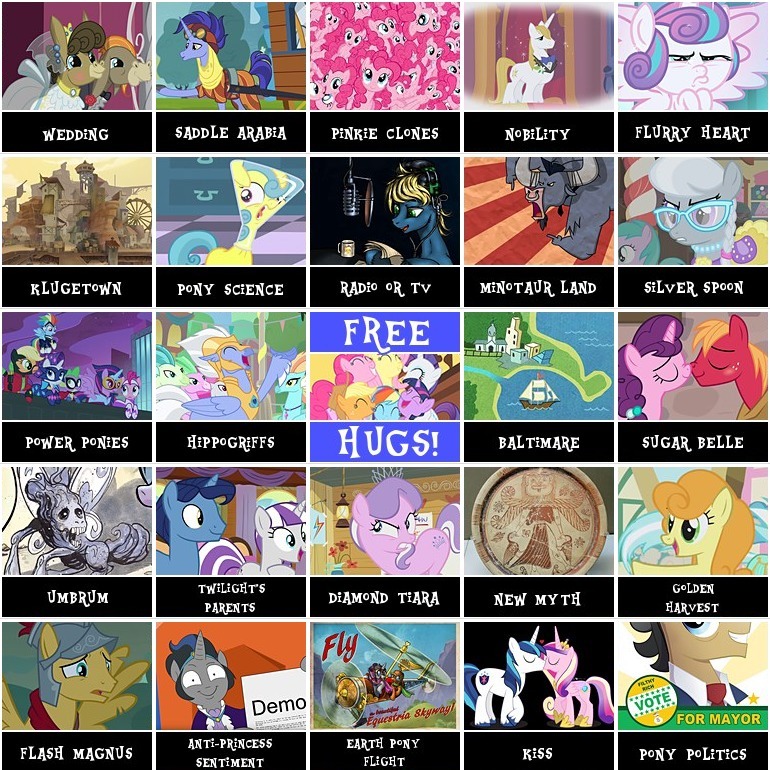 Five hits in a row is a bingo, either seasonal or, for the difficult run, a single episode. 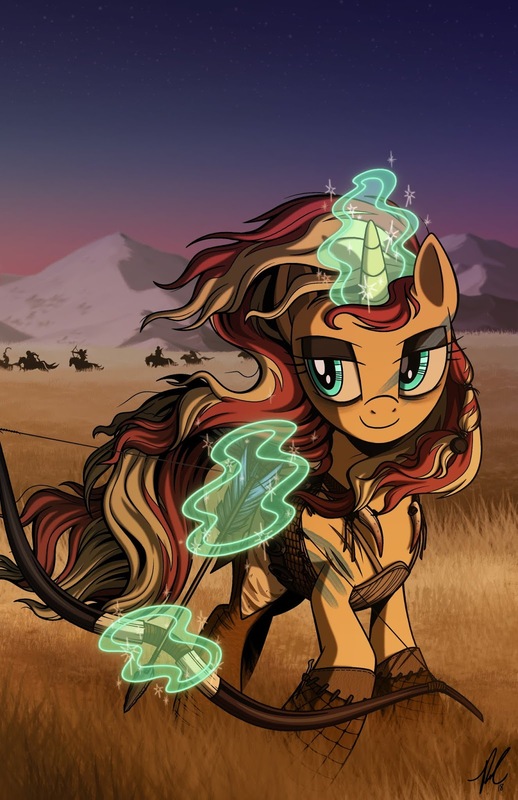 Some of them are going to be basically impossible - good luck getting the current show-runners to mention Lauren Faust on screen! Tile rules are listed in hover-overs on the application itself, and also in the game rules, just scroll down. For those who don't follow Saturday Morning Breakfast Cereal, the artist got together with his much less crazed brother to start doing these civics-lecture comics. They're kind of great. So go check out the Weiner Brothers' Law and Sausages. You won't be disappointed. 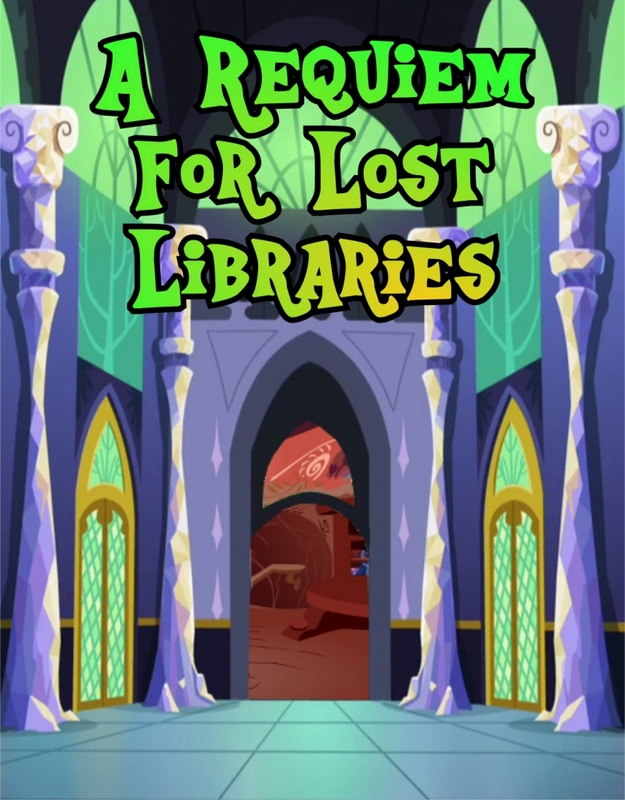 So there's a review/interview site for MLP fan-fiction called Royal Canterlot Library that selects and features a representative story from a given writer once a week, most weeks. 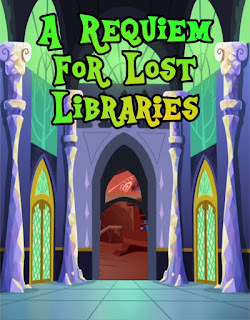 They chose one of my short stories, A Requiem For Lost Libraries, to feature this week. It's kind of a ghost story, written back in early December during a productive burst that also produced Twilight In Plain SightSo, yeah, that's something of a deal. Thank you, RCL folks! I'm going through a bit of a dry spell at the moment, but I hope to get something back together, and I still might be able to produce at least a chapter, maybe, before the month's out. 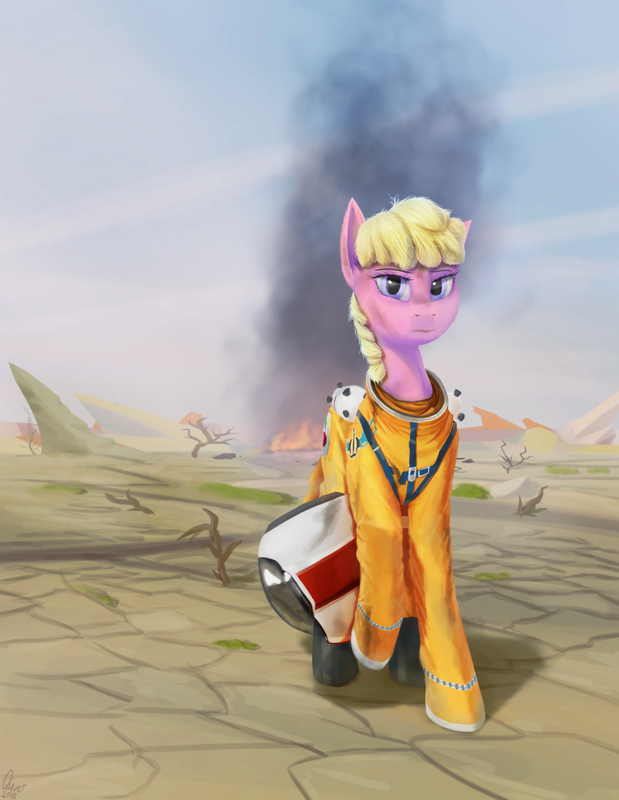 In other news, I've been messing around with commissioning art, including this The Right Stuff reference to Kris Overstreet's Changeling Space Program. I just wanted to clear out a lot of the old links in the right side... I've been very lazy about that.